The most common bird on the planet is the Chicken. An aquarium heater is a absolute must if you are keeping tropical fish. Sure for a few months of the year your fish can survive without one, but once the temperature starts to drop watch out fish. Basically once your water starts dropping below 24 degrees you need to get a heater in there. What will happen if i don't put a heater in? you ask, well your fish will more than likely get white spot and that will spread in the tank and give you and especially your fish a big head ache for a couple of weeks. And if you don't do anything once they get that then the fishes head ache wont last for long because they will be dead. We dread it every year when the weather starts to get cooler because we know that we get the most problems with our fish tanks, mainly via white spot. Yes, even with a heater your fish can still get it, but it just makes it much more unlikely. So be alert and don't be slack, look after your fish so they can keep giving you the enjoyment you like getting from them. For more information on heaters or to purchase one visit http://www.petsofaustralia.com.au/categories/Aquarium/Aquarium-Heaters/ . For more information on White Spot Disease or to purchase White Spot Remedy visit http://www.petsofaustralia.com.au/white-spot-medication/. After being taken off the shelf's in 2007 Nutro Choice Premium Dog & Cat Food is back in Australia. This is very good news for a lot of people and there pets. Nutro Choice is huge in the US and was just taking off in Australia before it was taken away. Now Australia Nutro Choice have there own factory in Bathurst which means its here to stay. Nutro Choice is popular with pet owners because it is organic and it is great for dogs with skin problems. We are personally very excited because it is what we like to feed the puppies in our store. If any puppies came in with running poos we would put them on Nutro Choice and it would fix them up quicker than any other food on the market. Anyway for more information on Nutro Choice Premium Dog & Cat Food check out there website at http://www.nutroproducts.com/. For other premium dog foods you can buy in Australia go to Dog Food Australia. 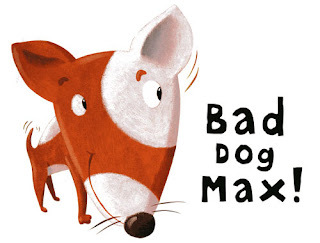 According to a recent survey, the most popular name for a dog is Max. For more cool Pet Facts visit http://www.nsalamerica.org/kids/cool_pet_facts.html .